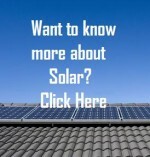 Want to know more about Solar??? ‘Solar’ is becoming a household name with hundreds of families across Australia getting solar systems installed on their home every week, but there are still many questions left unanswered and this is causing confusion for potential customers who simply want to know all the facts. To help you understand how solar works and the benefits it provides, we have listed below some of the commonly asked questions and answers. Click on the title you wish to read about, and it will automatically download the information in a document that you can save for your own records. Hopefully this will be of assistance to you, when making the decision to go solar. What’s the difference between Solar Hot Water and Solar Power? What’s the problem with power from the Grid? How can I protect myself from rising energy costs and reduce my carbon footprint? How do feed in tariffs work? Do I pay tax on any credits received and could it affect my pension or other government benefits? How much solar power do I need to power my house? How do Renewable Energy Certificates and Solar Credits Work? Is my house suitable for solar power or solar hot water? What impact can I really have on climate change? But what difference will I make by going solar? How does my CO2 footprint compare to the national average? What are the costs of going solar? Is my house suitable for solar hot water? Is my house suitable for solar power? How can solar energy help businesses? What should I look for when buying a solar system? How to assess quality, reliability and output. WBBCC hopes this information helps you make the move to solar power. We are making it simple so you can reap the benefits of clean renewable energy. Why not join The Fraser Coast 1000 Solar Roofs Challenge today? 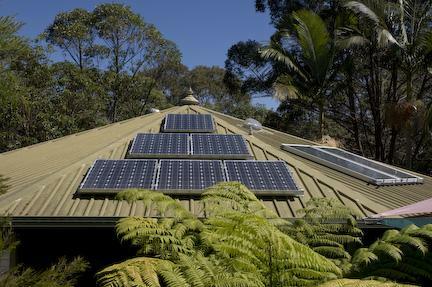 The Fraser Coast 1000 Solar Roofs Challenge!